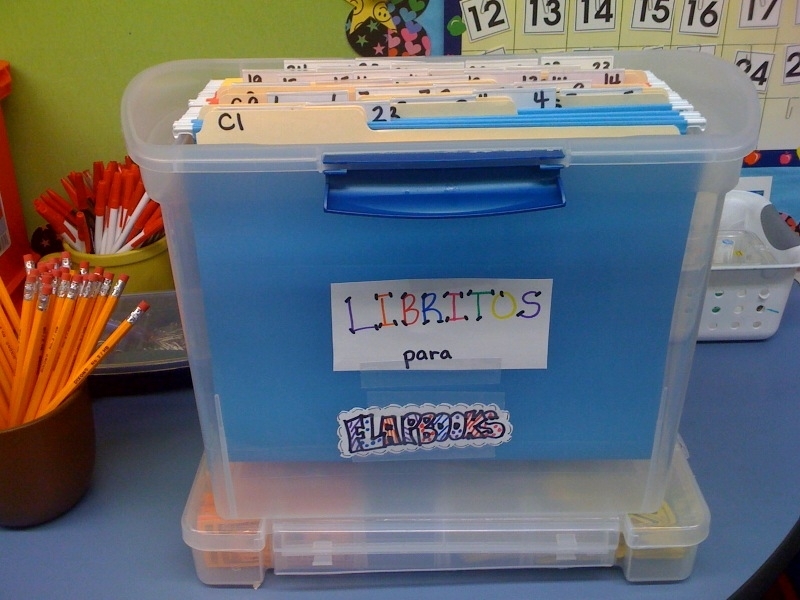 There are some really great ideas out there for how to store minibooks when students are still in the minibook making process and not yet ready to assemble the flapbooks (lapbooks). In a classroom setting, especially if you have multiple classes to teach, this can become somewhat complicated. This is the method I am going to try for now, and we'll see how it goes. I purchased this file storage box for $5 at Dollar General. The students in both my classes have their own specific number. 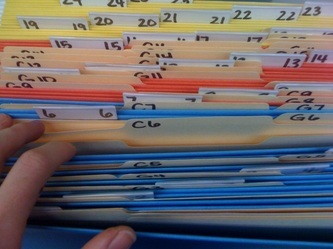 Each hanging folder represents a number. Then, inside each hanging folder, I put two manila file folders and labeled them "C1 and G1," according to the number of the hanging folder. (C is for my homeroom class which is Clase Carro, and G is for the last name of the homeroom teacher of the other class.) 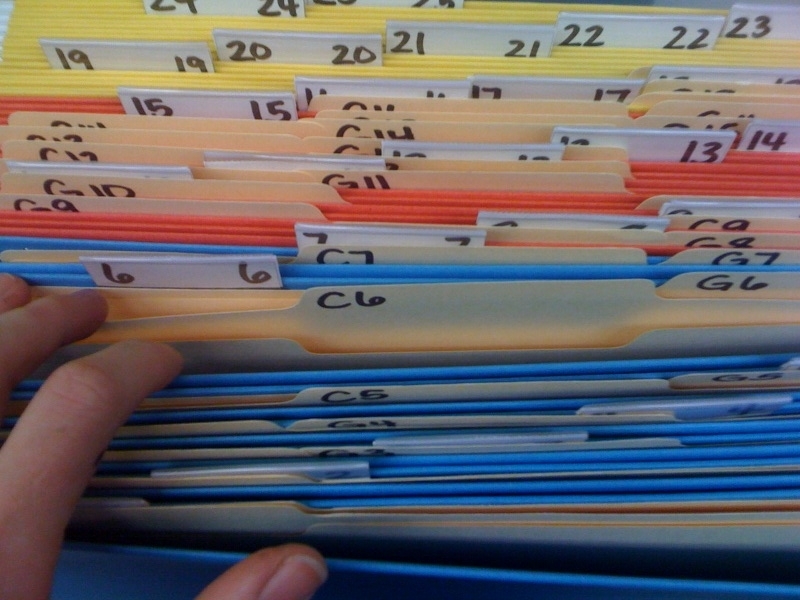 If you have more than two classes, then just place the number of manila folders correspondant with the number of classes you teach. 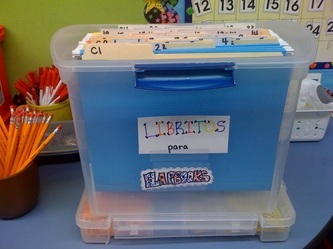 Now, when my students finish a minibook, they can store it in their manila folder according to their number and metter of their homeroom teacher until assembly time. It's good to make sure the file box that you use has a tight fit, so the minibooks will be nicely flattened by the time they're placed in the flapbook.